Orchard Wharf is our new EM Gauge project. 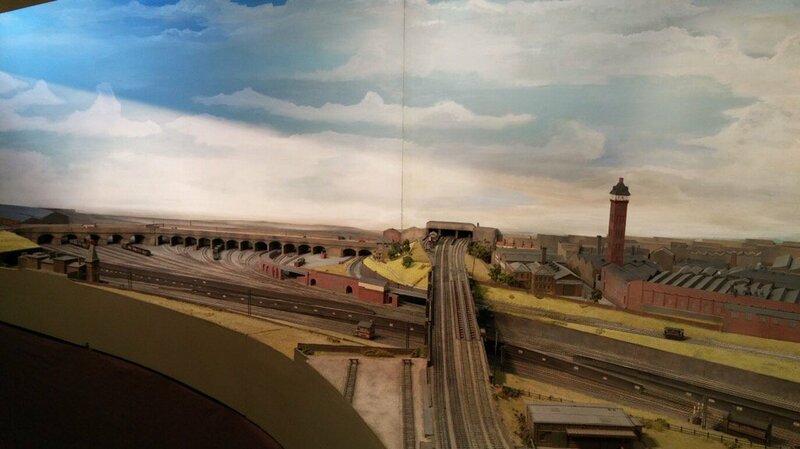 We’ve taken a very different tack to that of Empire Mills, the layout’s predecessor. What we wanted this time was something the offered scope for more intense operation without a great increase in size. Empire Mills was two four-foot layout boards and one four-foot fiddle yard; for Orchard Wharf we’ve got fiddle yards at both ends, though the layout extends over these boards too so there’s a lot more track length. There’s a low and a high level; the low level is a network of tracks serving the wharf that gives the layout its name and the high level is a main line running immediately behind the wharf from western to eastern high-level fiddleyards and back. 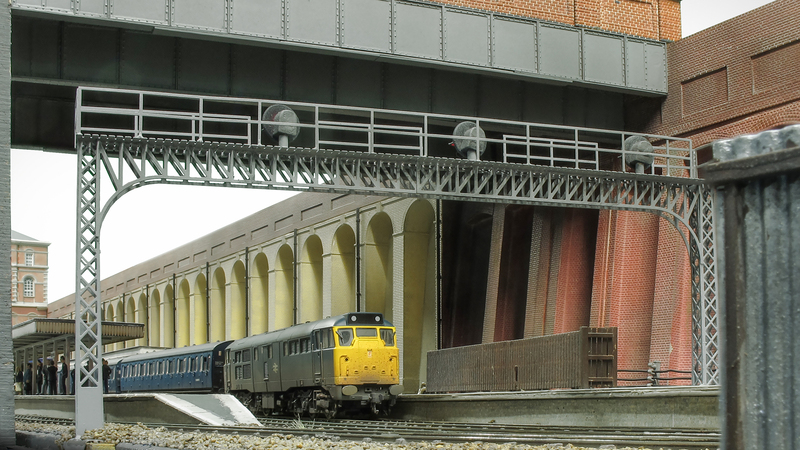 An incline connects the high level to the low level; freights descend this to gain access not only to the wharf but to yards further east represented by the low-level eastern fiddleyard. The team felt that in the space available to build and operate the layout we would struggle to have more than a single engine operating the sidings in the dockside yard, so we added the main line which is double track (though the up line is closed for maintenance at the eastern end, forcing single-line working over this section) and includes a loop on the down line. In this way we can keep two operators busy and run a wider range of stock. 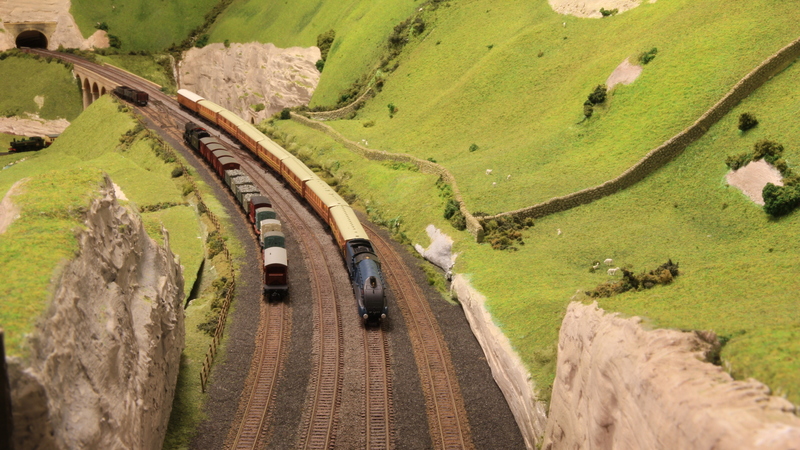 We also made space for a simple factory siding off the high level route on the down side. Accessing this will usually involve quite a lot of manoeuvres, giving the high level operator plenty to do and, we sincerely hope, not boring our intended audiences. Empire Mills was set in Cornwall, in an entirely rural landscape with just three structures. For Orchard Wharf we turn to the soot and grit of a worn, neglected and much-maligned part of our own city, taking inspiration from the maze of railway routes criss-crossing London’s East End. Take a look at a local Ordnance Survey map from the turn of the last century and you will be forgiven for thinking the cartographers have decided to decorate it extensively with sets of long, parallel, lines that swell out into delicately curved fans and grids. Railways were everywhere, serving the extensive industry and the sprawling London dock estate. The Port of London Authority (PLA) was the owner of all the important London docks. 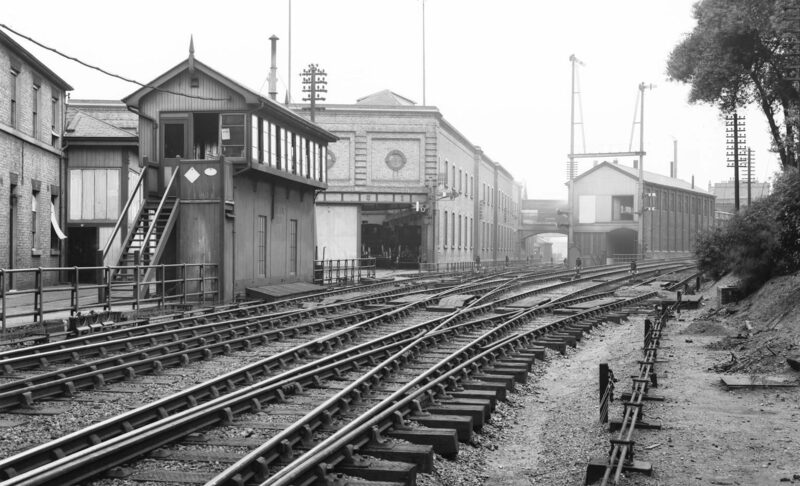 It operated a considerable mileage of rail traffic, much of which never left its land, but the railways not only served the PLA’s warehouses but also had their own much more modest arrangements which could be found along the Thames and its tributaries such as Bow Creek, the mouth of the River Lea. It is in Blackwall, the area of the creek mouth, that we have placed our layout. Our main line represents an imaginary diversion of the real route to North Woolwich at the Eastern end of the Royal Docks, a busy line operated by the Great Eastern Railway that had a regular commuter service up to the 1960s and also conveyed a great range of goods in both directions. London’s docks operated up to the early 1970s. The volume of rail traffic from the docks and the numerous nearby industries declined as the shipping container made its mark on global shipping. We’ve pegged Orchard Wharf at 1960, but strategies such as having an interchangeable backscene design mean we can move that date backwards and forwards a little, should we decide to do so, without losing fidelity. 1960 is a good date, because, being a few years after the first batches of diesel locomotives were delivered under the British Transport Commission’s 1955 modernisation plan, it allows us a good range of motive power from the ex-Great Eastern/LNER N7s – workhorses of the North and East London commuter corridors – to the notoriously poorly-constructed and unreliable D8400 class type 1 diesel-electrics. Freight will range from block trains of coal and imported fruit through oil, tar and scrap metal, to finished machinery for shipment from our wharf. 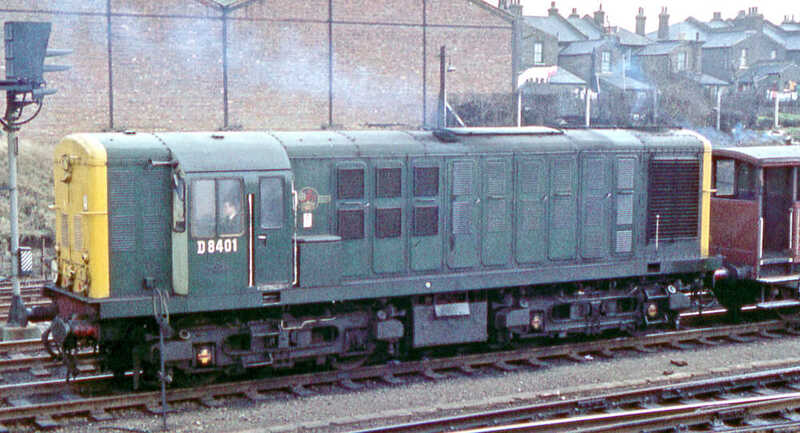 Passenger services, modelled on those of the North Woolwich branch, will use a mix of former GE/LNER Gresley teak-bodied compartment stock (still remembered by some as being excruciatingly cramped) through their BR-built steel-bodied successors to zippy new multiple units commissioned under the modernisation programme. Boards and transport boxes are built, and we are working on most if not all of the remaining aspects of a model railway layout: track, scenery, electrics, and rolling stock. 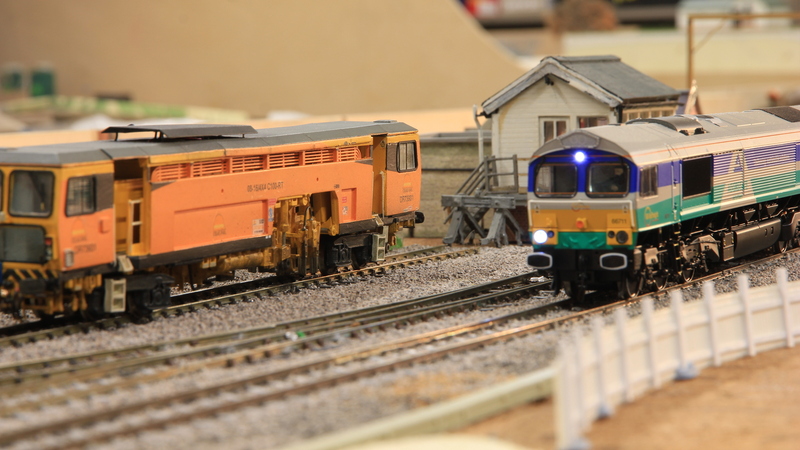 Electronics will feature heavily, with Model Electronic Railway Group (MERG) CBus and our own custom-built components. Operating schedules are being compiled, based on the North Woolwich branch timetables of the late 1950s. We welcome club members to join the team and contribute their skills, or learn some new ones, at this early stage in the layout’s development. Come along to Keen House on a Thursday evening and speak to Ben Weiner or John Jesson, or contact us via the website. Visitors are welcome at all our meetings - so please come along on a Thursday evening (7 - 9pm) and introduce yourself.